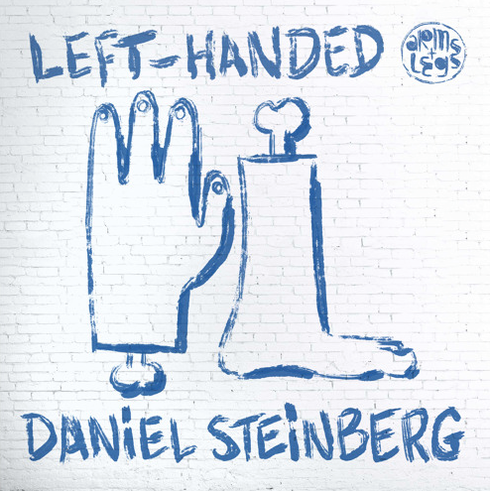 Berlin DJ/producer Daniel Steinberg returns with his third album ‘Left-Handed’ – a kaleidoscopic trip through house, electronica and jazz and imbued with the artist’s musical spirit. With any Daniel Steinberg release, there’s always a story, an entertaining tale often of misfortune and downtrodden luck that eventually gives rise to inspired moments of creative clarity and some of the finest productions of the German’s career. ‘Left-Handed’, the colourful 9-track album was born out of a booze-fuelled accident around Christmas last year that resulted in a fracture to Steinberg’s right wrist. With his girlfriend heading home for the holidays and a broken internet connection, the Berliner had little else to do but pour his focus into music. This attention to detail and free-wheeling spirit can be felt throughout the album as Steinberg delivers his most expansive work yet; from opening track ‘Corn Dog’ – a melting pot of Latin tech, funk, rap and jazz to the bluesy ‘No One Can Change Me’ and the jacked-up ‘90s inspired breaks of ‘Crucial’. This is an album’s album that’s heavy on highlights, while working well as a cohesive whole. An apparent standout artist on Jesse Rose’s Front Room imprint culminating with the release of his debut album ‘Shut Up’ in 2010, Steinberg launched his own label Arms & Legs the following year on which his sophomore long-player ‘Treptow’ was issued in 2013. ‘Left-Handed’ follows up his 2014 single debut on Defected ‘Let Me Down’, that backed by a remix from Tube & Berger was anointed Essential New Tune by Pete Tong.